There’s a range of news and events to look forward to this holiday season! In the lead up to last week’s Victorian election, a Treaty forum was hosted by the Boroondara Reconciliation Network. ANTaR Co-Chair Brigid Knight-Braniff spoke at the forum, and was joined by Kew and Hawthorn candidates Marg D’Arcy(Labor, Hawthorn), John Kennedy (Labor, Hawthorn), Alex Marks (Greens, Kew) and Nicholas Bieber(Greens Hawthorn). The future of the Treaty process will depend on the election outcomes, which are currently still being finalised. ANTaR also recently hosted a stall at the long-running Music from the Wetlands Festival. The weather was perfect and drew an enthusiastic crowd on the day. 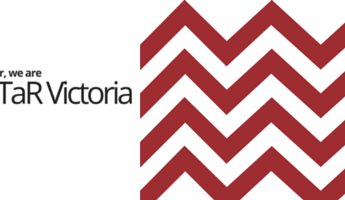 Finally, you can find ANTaR Victoria’s Annual Report 2017/18 here. Each year ANTaR National welcomes First Nations guest speakers to update board, advocacy council, members and supporters directly on key work towards justice, rights and respect for First Nations peoples. This year we are delighted to welcome Jill Gallagher the Victorian Treaty Commissioner. Jill will speak on the journey towards Treaty which is underway in Victoria and the next steps on the horizon. A contemporary installation that explores the heart-wrenching letters and petitions written by the Ancestors to the Aboriginal Welfare Board, managers of reserves, governments and the Board of Protection of Aboriginies in the 1800s and early 1900s. The book ‘Culture is Inclusion’ delivers a compelling story, combining traditional research methods and the concept of ‘yarning’. Join the author, Scott Avery (Research and Policy Director of the First People’s Disability Network) who will outline the key aspects of his research. An exhibition of photographs, film and performance based in a remote regional town, Rainbow. Two ancient cultures meet and collaborate through dance. Opening night performers from Wotjobaluk dancers include Ben Muir, Lochie Marks, Sonny Secombe and John Secombe. Legendary Aboriginal actor David Gulpilil gives first-hand insight into the clash between two cultures – that of his Yolngu people and the prevailing Australian culture. Ticket price also includes live music, chocolate tasting and a vegan canape dinner. To celebrate its second year of supporting Indigenous entrepreneurs, First Australians Capital invites you to hear from award-winning author, historian and educator Bruce Pascoe, First Australians Capital Jocelyn King and other 21st Century entrepreneurs upholding an ancient tradition of enterprise. Experience the unique environment, wildlife and indigenous culture as guests of Worn Gundidj Aboriginal Co-op at Tower Hill Wildlife Reserve. You will be introduced to the history of this amazing volcanic feature, taught about the plants and trees in the reserve and their part in aboriginal life and culture. A walk through the forested reserve will be followed by a lesson in the art of throwing and returning boomerangs. Copyright © 2018 ANTaR Victoria, All rights reserved.